Welcome to the Illinois State Fairgrounds. We are pleased that you are considering the fairgrounds and Springfield as a future site for your event. 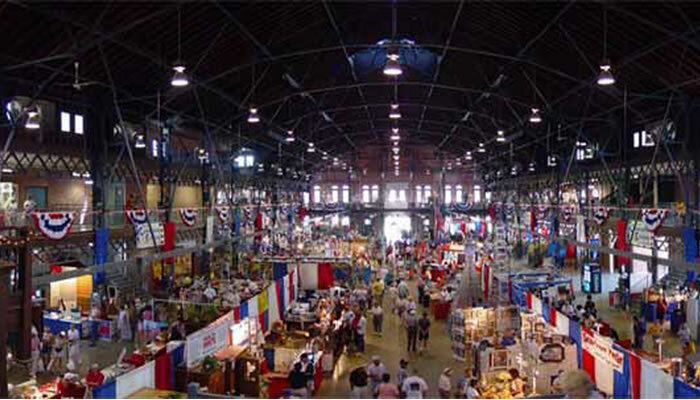 Known as Illinois’ premier public facility, the Illinois State Fairgrounds is recognized nationally as a leading multi-use venue. 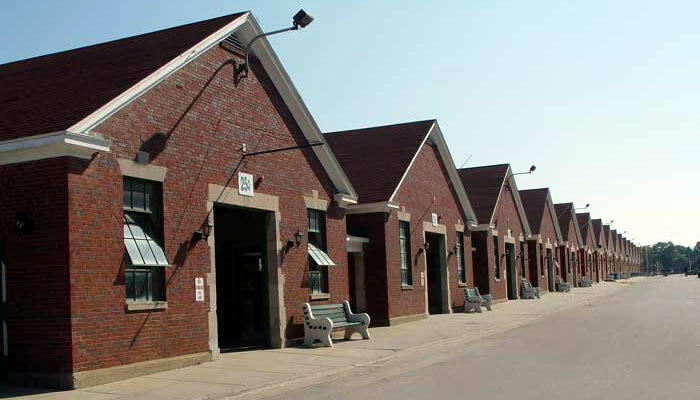 The Illinois State Fairgrounds encompasses over 360 acres of land that is fully fenced for added security. The landscaping and scenery throughout the grounds provides one with a sense of hospitality and homeyness. The fairground’s facilities are ideally suited to accommodate many needs such as Conferences and Conventions, Weddings, Theatre and Dance, Concerts, Trade Shows, Dog & Cat Shows, Livestock Shows, Motorcycle Races, Monster Truck Shows, BMX Races, Freestyle Motorcross, Car Races, and Rodeos. In addition, the Illinois State Fairgrounds has presented top entertainers. We are pleased to have you as our guest and look forward to seeing you soon. We are committed to your success! The Artisans Building was constructed in 1898 and is complete with hardwood floors, restrooms, and an open floor plan. 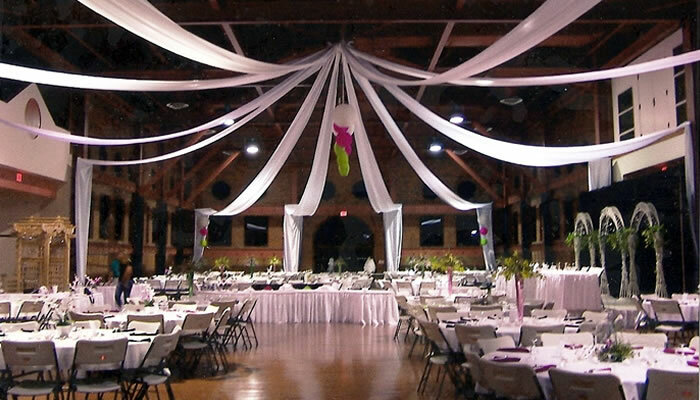 This flexible facility is an excellent location for wedding receptions, high school proms, or meetings. The Enclosed​ Arena was recently reconstructed in 2002. The original dirt ring was constructed in 1950. This facility is ideal for outdoor concerts, horse shows, dog shows, and other outdoor events. This historic structure was originally constructed in 1894, which makes it the oldest facility on the fairgrounds. It is a spacious two level building with iron framing, brick walls, and segmented arched windows. A large overhead door helps accommodate large item entry. This is an open-air barn that was constructed in 1980 and is complete with ADA accessible restrooms and shower facilities. It contains metal pens and is primarily used for goat shows. The Grandstand was rebuilt in 1927, and is known for holding an assortment of concerts, horse, automobile and motorcycle races, and tractor pulls. There are 8,912 permanent seats available, which are roofed by a large metal truss. In addition, there are 2,700 bleacher seats that have a supported canopy covering. This grandstand has the capacity to hold over 13,000 people. This large, barn-like facility was reconstructed in 1994. The facility consists of three structures, one of which is the VIP pavilion, that contain 74 horse stalls when combined together. They each possess a steal frame and a metal roof. Added conveniences include ceiling fans, office space, and storage space. This three-story facility, constructed in 1949, has many amenities that frequently are of service to events such as wedding receptions and proms. An overhead door, concession area, walk-in cooler and storage area are available to provide you with added conveniences. For entertainment purposes, an appealing 470-seat theater is available with dressing rooms. This phenomenal facility was constructed more recently in 1992. 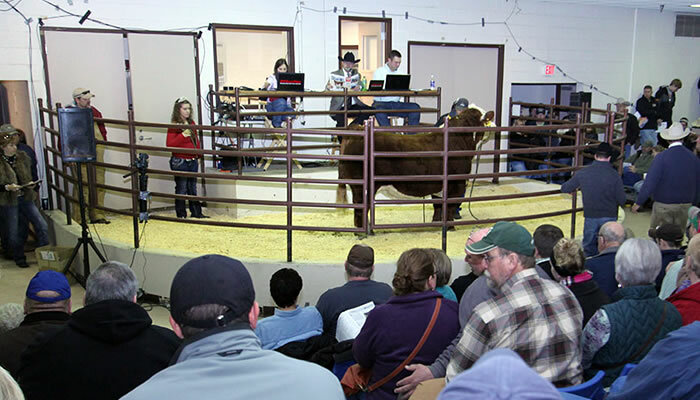 There are two floors available with a flexible amount of space for livestock events, trade shows, and cattle and horse sales. It is also available for livestock auctioning. Junior Department Livestock Building was built in 1937 and dedicated in 1938. It was later renamed the Orion Samuelson Junior Livestock Building. The building is flexible for various livestock events. There are two levels to the building with 1100 cattle ties in the lower level and 765 pens in the upper level. 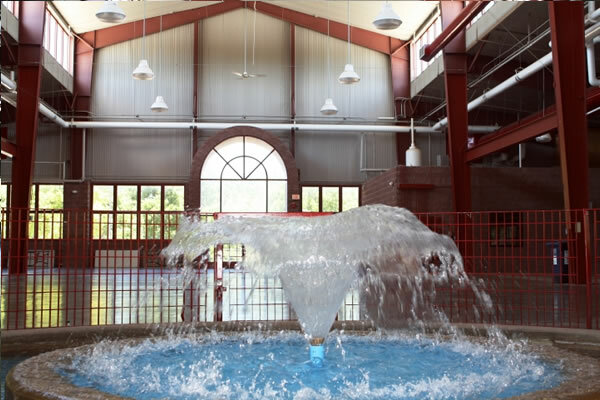 The Orr Building has many amenities that will aid in hosting large special events. It was constructed in 1990 and is complete with two overhead doors, a loading dock for easy entry, office space, restrooms, and a finished kitchen with a refrigerator and a stove/oven. This barn has been on the fairgrounds since 1929. It is brick with a concrete floor. Windows are decoratively cast throughout the barn. Major renovation was done in 2002 replacing the roof, the floor, plumbing, and mechanical and electric systems. 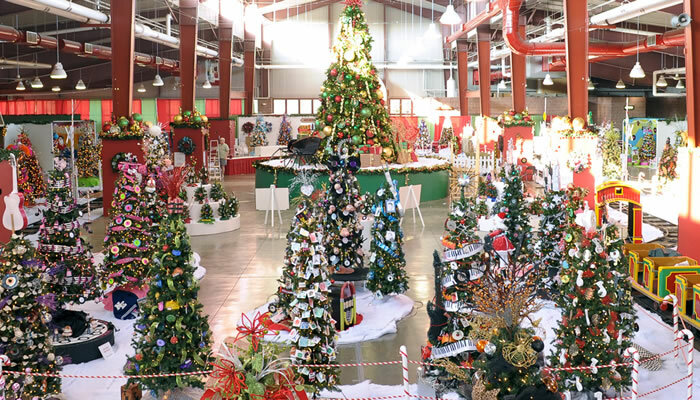 The fairgrounds has 916 stalls located over 28 barns throughout the fairgrounds. The number of stalls per barn varies. All barns provide quality stabling facilities. This barn was originally constructed in 1912 and throughout the years has been rehabilitated in a manner that highlights its historical character. It is a mission style brick barn with a concrete tile roof and a limestone trim. Individual breed shows and national show and sales are typically held in this barn. The Coliseum was constructed in 1901 and is a large, three-story, enclosed oval-shape amphitheater housing a show ring for horses. This facility is ideal for horse shows, quarter midget racing, motorcycle training, and concerts. This gazebo stage is located in the heart of the ethnic village. It is an octagonal shaped bandstand with a raised concrete base. Metal poles support its wooden peaked roof. This area is used as the Ethnic Village during the fair, which serves a variety of ethnic food. It is fabulous place for entertaining or holding fundraisers. Picnic areas surround the bandstand and provide a great place to relax. The Commodities Pavilion was constructed in 1971. It is a large, open pavilion that contains a asphalt floor and beam supports. This area is ideal for hosting dinners, auctions, or parties. The three large entranceways make it convenient for setting up and tearing down. The Food-A-Rama Pavilion was constructed in 1971. It is a large, open pavilion that contains a asphalt floor and beam supports. This area is great for hosting dinners, auctions, or parties. The two large entranceways make it convenient for setting up and taking down equipment. The Garden Pavilion is a wood frame open pavilion with a concrete floor and a roof finished with asphalt. It has decorative vertical boarding in the end gables. This is most often referred to as the “beer garden,” and is an excellent site for hosting small social events or parties. This is an area that is excellent for driver training and parking. It consists of a combination of paved cement and gravel. Almost any outside event is achievable in this spacious area. The Happy Hollow Area is asphalt paved and is ideal for driver training, parking, and auctions. It can also be converted into a camping site for your event. A new comfort station was constructed in 2001, which contains restrooms that are ADA accessible. The infield of the mile track is a large grassy area that can hold parking for approximately 3,000 people. It has historical significance for being Springfield’s first golf course. When it was introduced in 1895, it consisted of only four holes. The Infield of the half-mile track consists mainly of grass, and offers parking for up to 400 people. It also serves as a racehorse training facility. The Labor Pavilion is located behind the Ethnic Village. It contains a concrete base and a wooden roof that is covered with tile. This pavilion is ideal for smaller events, for it consists of two cement squares that are joined by a central walkway. Floral arrangements surround the pavilion, which adds a friendly welcome. The Lincoln Stage area has a concrete floor and steel supports leading up to the roof structure. A raised stage encloses the south end of the facility. It is an open pavilion that, along with the stage, includes dressing rooms. 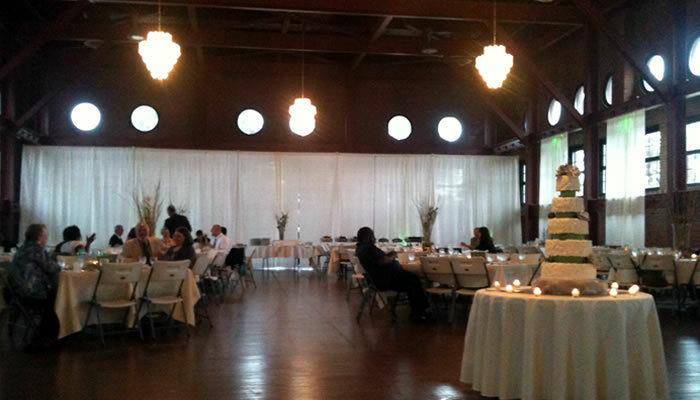 This area can aid in accommodating wedding receptions, parties, and entertainment. This large, open area consists of a combination of pavement and gravel. It is a flexible space for parking or temporary camping. Traditionally, the Midway Area houses the carnival rides, games, and side shows during the Illinois State Fair. 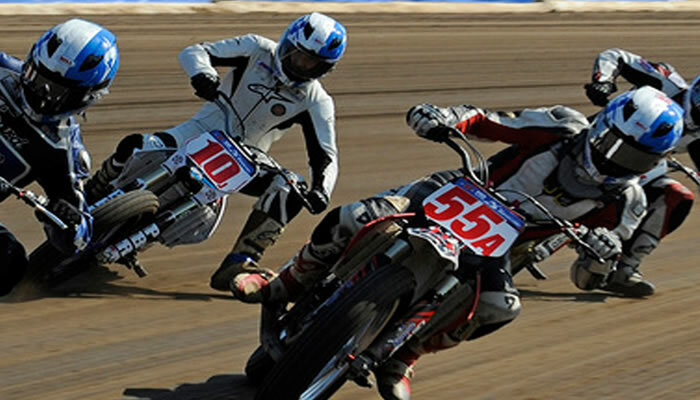 Being the newest addition to the fairgrounds, this six- acre arena has accommodated large consumer shows such as the famous National High School Finals Rodeo, the Monster Truck show, and motorcycle racing. Construction for this premier facility cost $9.6 million dollars. It has the capacity to seat approximately 10,000 + spectators. This lot consists of gravel and various buckeye and acorn trees. It is an open area that is capable of holding up to 770 automobiles. The large vicinity is ideal for driver training. This steal frame structure covered with ridged metal was constructed in 1975. It has a single space interior that is lined with metal bar pens for animals. A double overhead door is located on the east end of the hut, which makes it convenient for moving in and out.